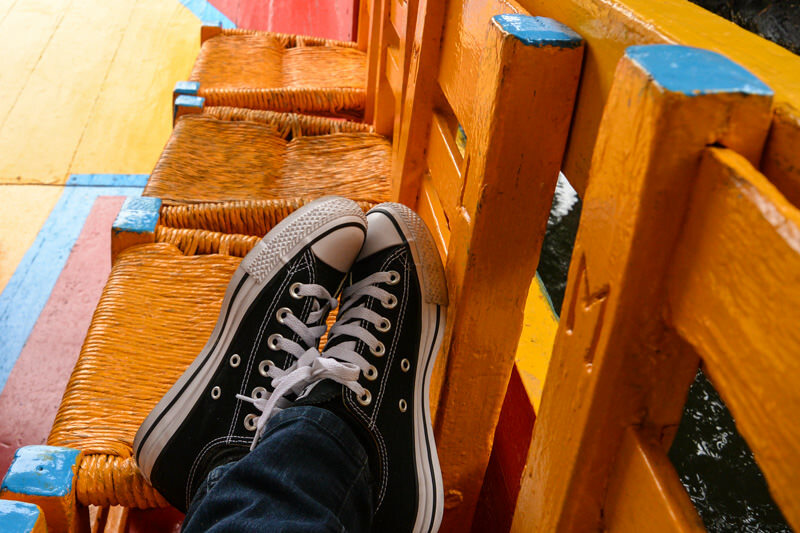 My favorite thing to do on a weekend in Mexico City gets a bad rep as a tourist trip. 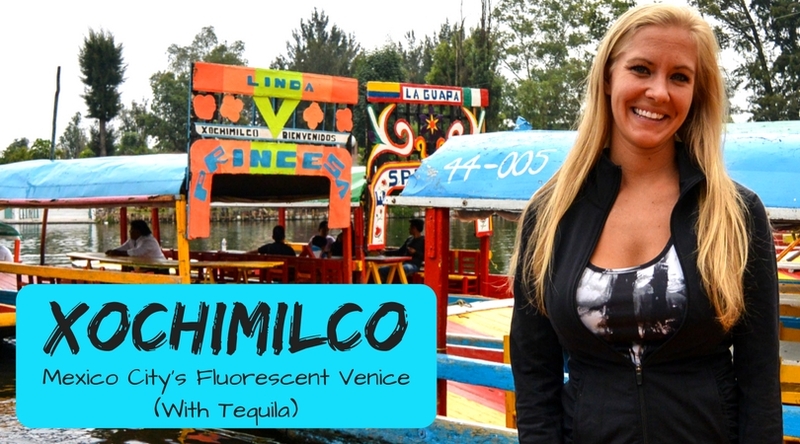 At first, I wasn’t into the idea of visiting Xochimilco (seems kinda like Mexico City’s fluorescent Venice), but my mother-in-law had found some pretty cool articles and photographs, painting it as a very beautiful cultural experience. I’m willing to try almost anything at least once, so we set off on a damp, dark, and drizzly day (after calling to be sure the boats were still going, which we were assured they were) – not knowing quite what to expect. 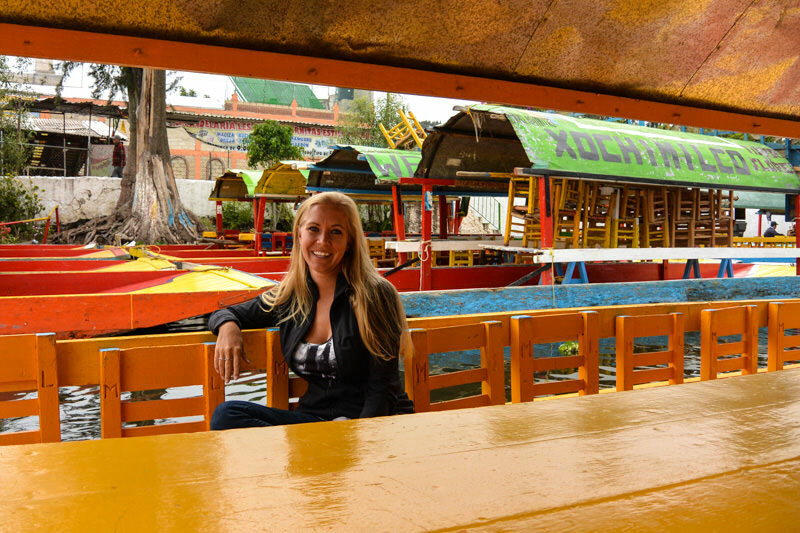 While it didn’t turn out to be quite the authentic cultural experience I was anticipating (there was a LOT of booze, and that’s coming from someone who spent a short stint in a sorority), it was way better than I ever could have imagined. After going with my mom-in-law, we’ve since brought my brother, my best friend and her boyfriend, and my sister. 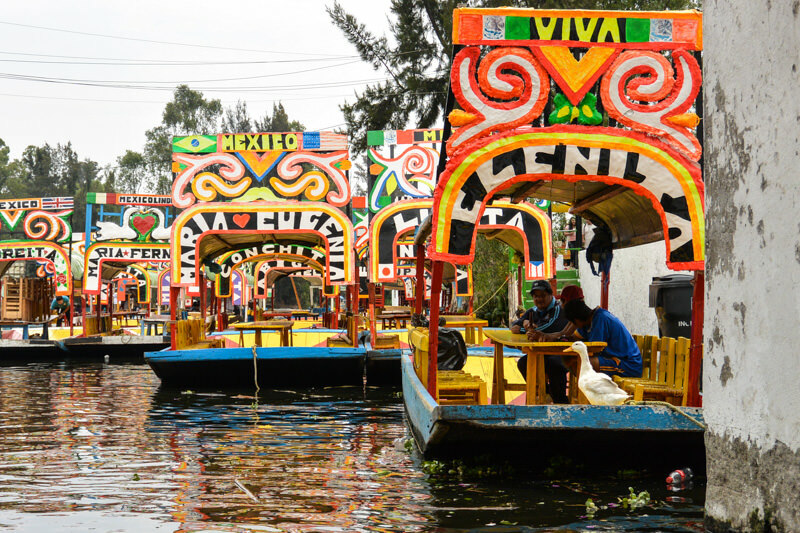 To be honest, it is a bit tacky, just a little gaudy, and definitely touristy to float down a shallow, slightly stinky canal in a garishly psychadelic boat propelled by a Mexican gondelier who has a 1/3 chance of being drunker than you* (and that’s saying a LOT). At the same time – it is just STRAIGHT UP FUN. 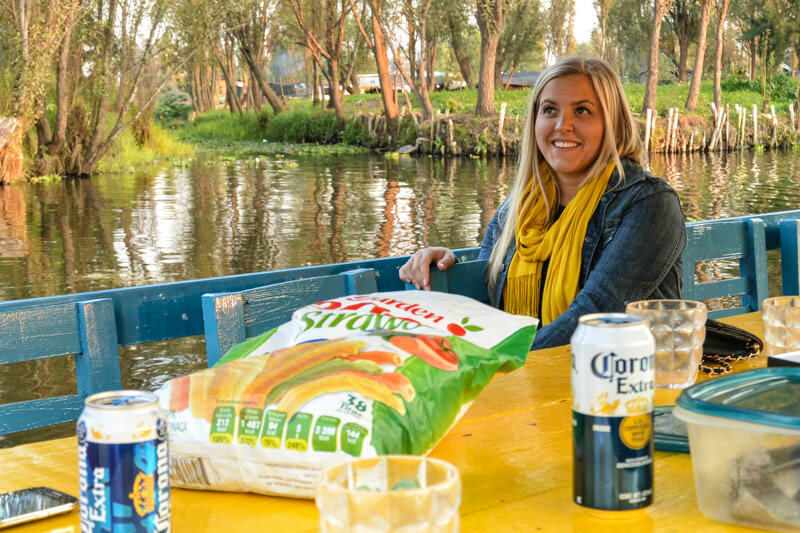 For me, being on the water + friends + booze + snacks = the best time ever, no matter where in the world I am. 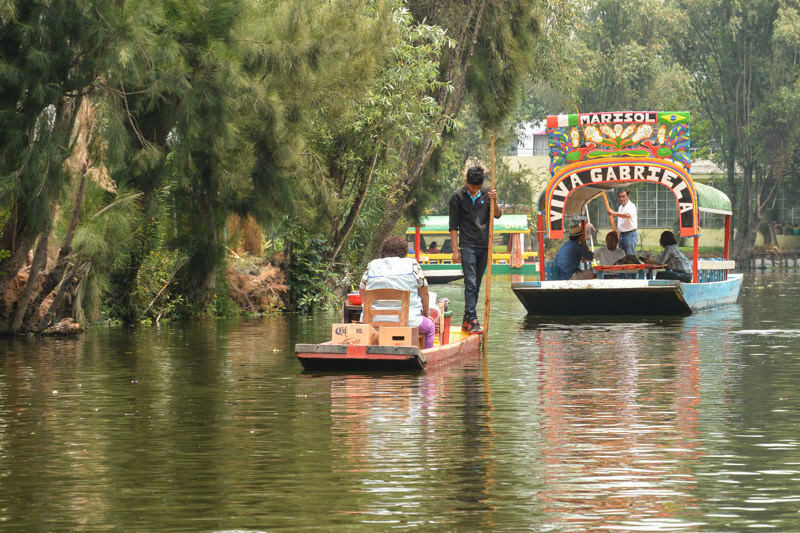 Make that booze tequila, add in live mariachi and grabbing snacks from a passing canoe… and that obviously triples the fun level. Weekends or holidays are the best bets for the biggest crowds, and always in the afternoon. For the first time ever when considering a tourist attraction, you actually WANT to go when it is busy. All of the boats you ride in are covered. A bit of drizzle won’t hurt anything, but a serious downpour might keep the crowds away. One of the busiest days I’ve visited was during a light rain. No problem! The boats are big and can fit 20 people, at least. Going by yourself is really no fun. 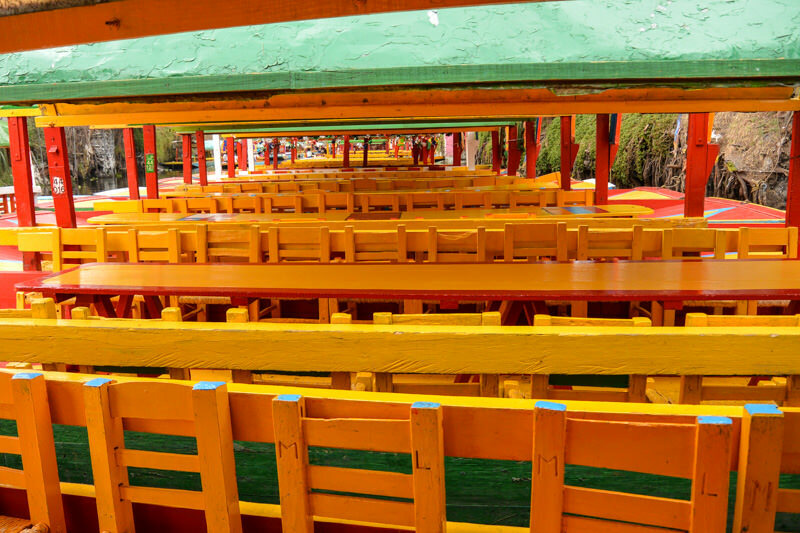 Round up some friends (or acquaintances) in Mexico City, and set off together. There are also floating bars and floating snack stations, but you never know when one will cross your path. If you get the munchies or need a Michelada STAT, you want to have your own supplies on hand. 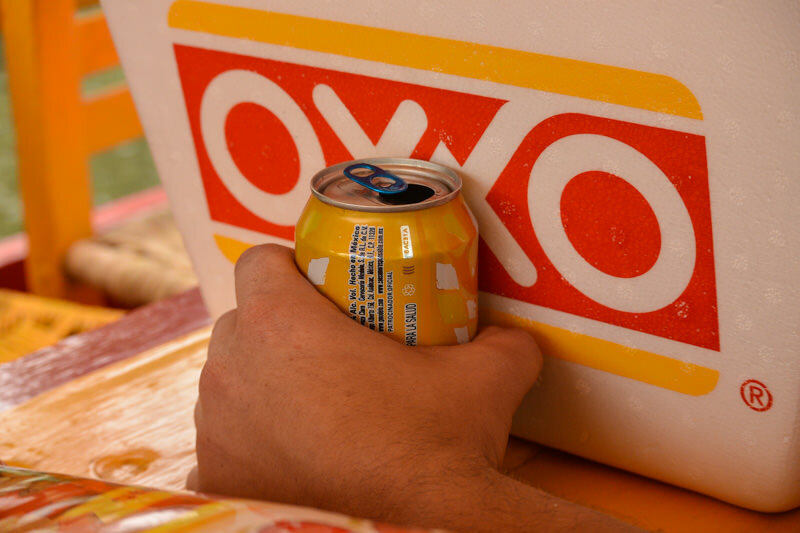 Just save yourself the trouble and pick up whatever strikes your fancy at the local convenience store, like OXXO. Don’t forget cups (like I always do)! 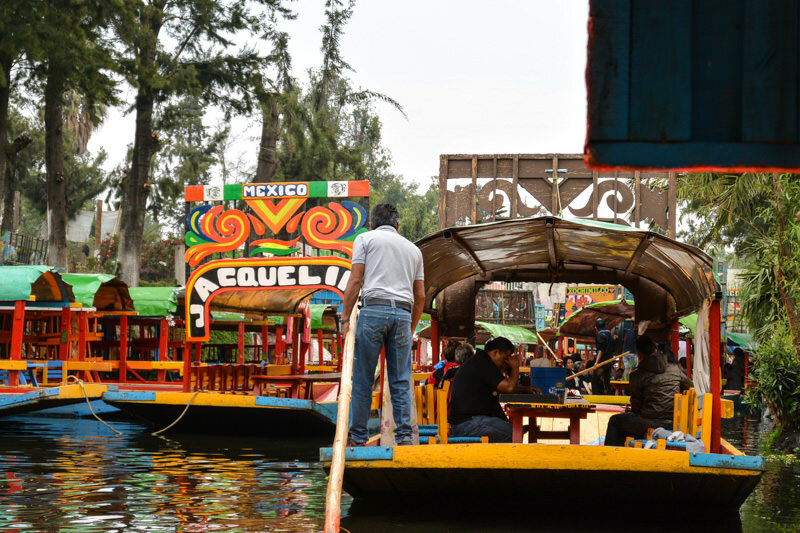 There are also restaurants along the way, but you have to park your boat to order, and the food quality really isn’t great (especially for vegetarians), and it is overpriced. 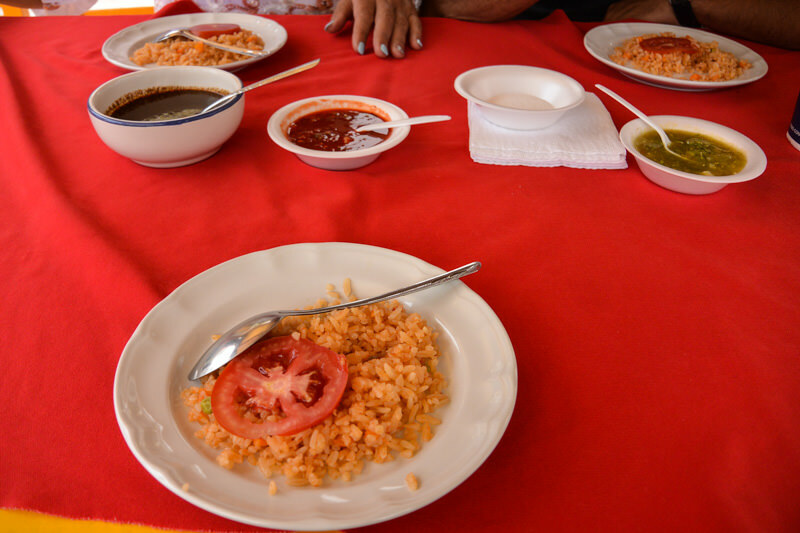 Being so close to the face-stuffing food mecca that is Mexico City, don’t disappoint yourself. 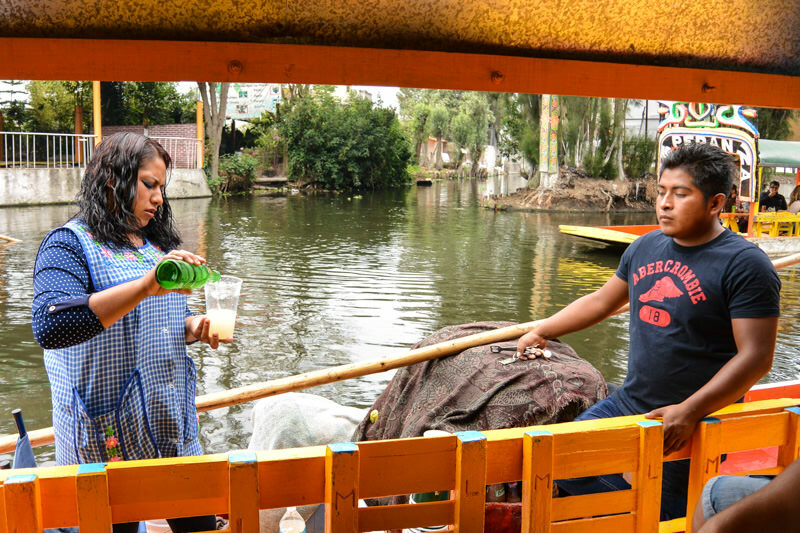 You’re on a boat in the middle of a canal, but you’re also consuming a lot of beverages. You’re going to need to use the bathroom. 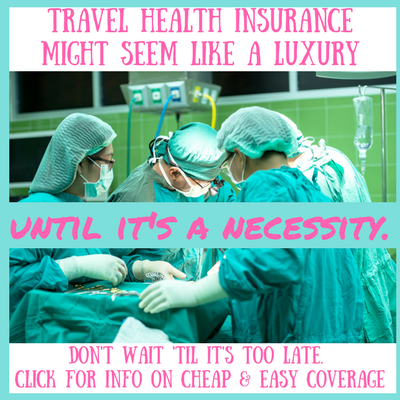 Try not to wait until you’re in a crisis situation (been there, done that) because bathrooms are pretty few and far between (though they do exist). They are in pretty shabby condition, you’ll need to pay to use them (5 or 10 pesos usually), and you should bring your own toilet paper. 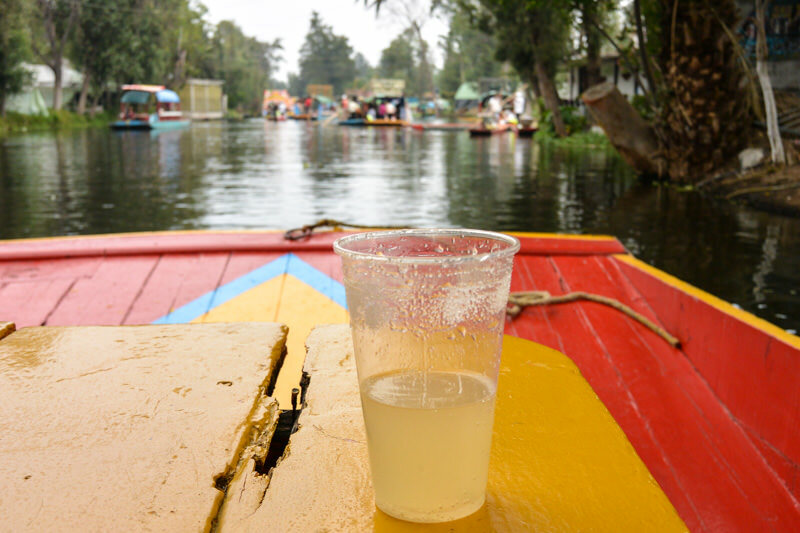 A lot of the fun of Xochimilco is relaxing, letting loose, and having (more than) a few beverages. 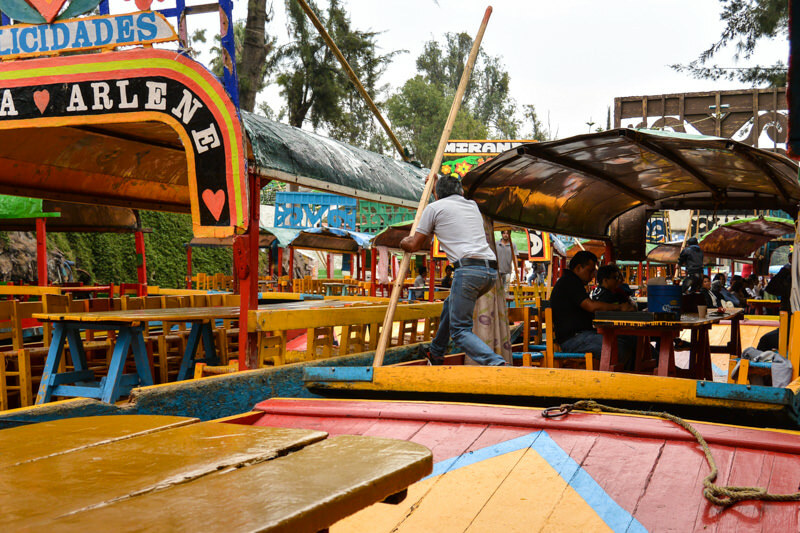 Don’t drive yourself to Xochimilco. 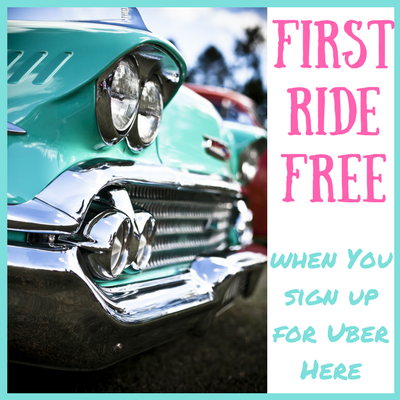 Take an uber (the most convenient and easiest option. never tried it? 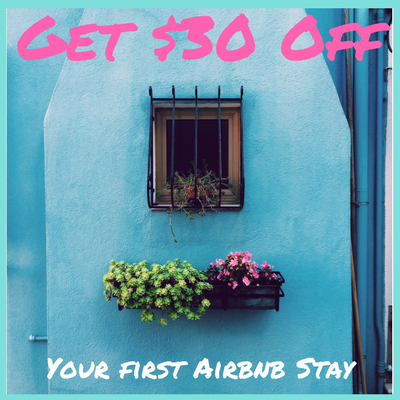 use my code to get your first ride for free), the bus, or the metro. No matter where you are in the world, drinking and driving is stupid, dangerous, and unnecessary – but especially in Mexico. 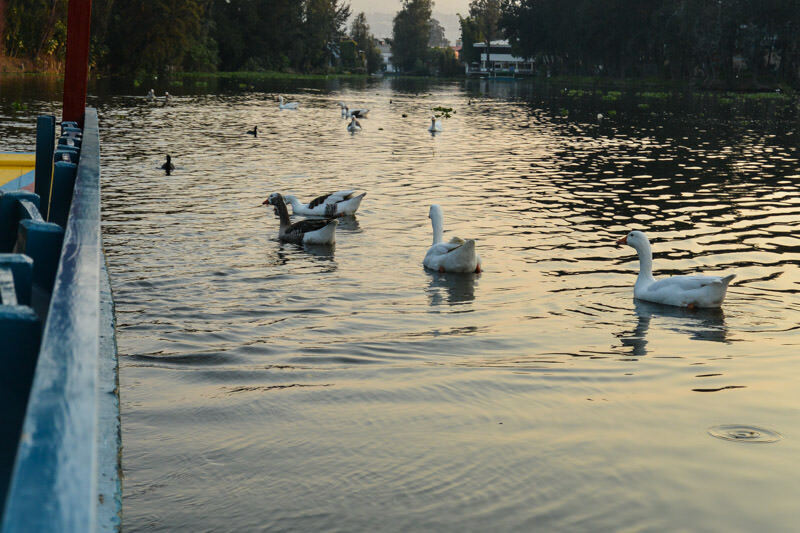 The temperature in Mexico City changes so quickly, especially as the day transitions into night (and vice versa), whether clouds appear, and if it starts to rain. Bring a sweater, even if it isn’t cold. The boat floor is pretty slippery, especially if it has been raining, and you’ll probably have to walk through a few of them at the launch before getting to the boat that will take you on your ride. Make sure to wear shoes that are not slippery. 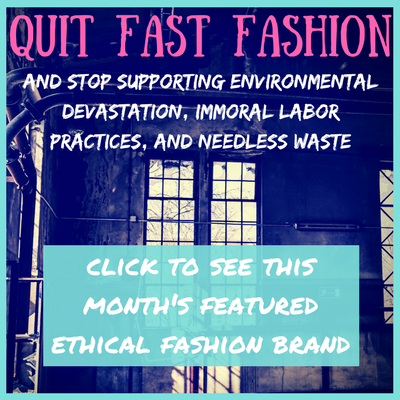 I’m especially partial to my Vibrams (email me for a 40% and free shipping code) and to Converse for nonslip options. tons of space for game playing! The boat ride itself is fun and entertaining (especially for people watching in other boats), but I find it even more fun when I bring a game. All of the boats are equipped with a long table and chairs, lending itself to my favorite game: Cards Against Humanity (I recently took my CAH game to the next level by adding the write-your-own-cards expansion pack . SO GOOD), which my family and closest friends are ridiculously fond of. We even played at my engagement party (with my dad!). going through a side entrance means you’ll probably see more ducks than people, just like here. QUACK! 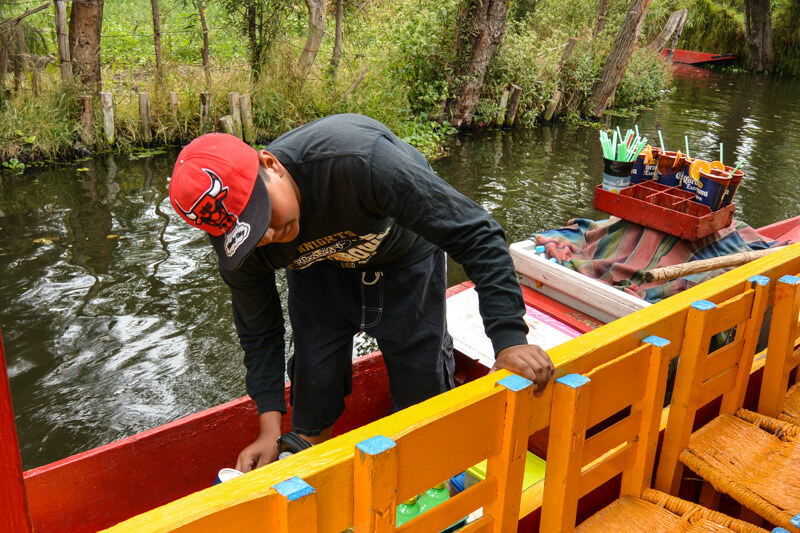 Sometimes taxi drivers trying to be helpful will over to take you to a more “family friendly” or peaceful part of the canal. 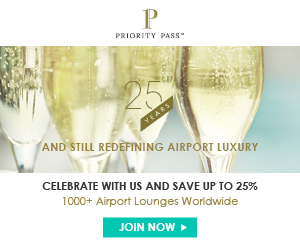 Opt out of this. 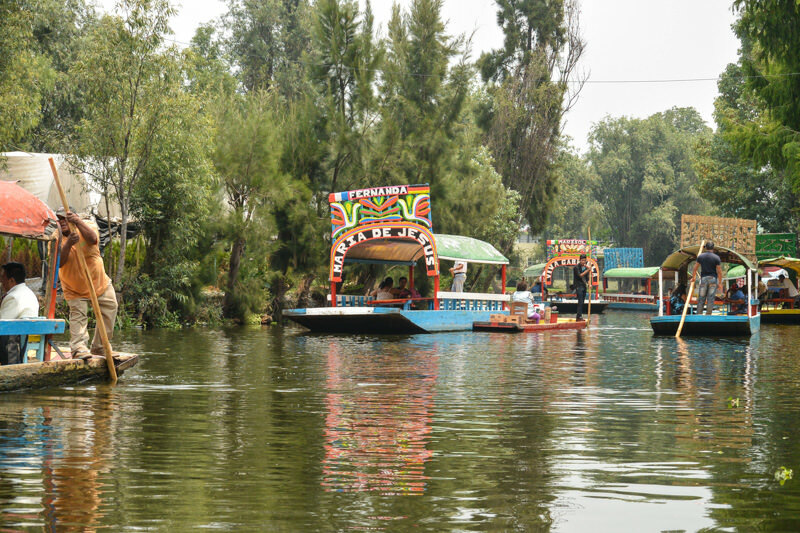 The fun is being surrounded by tons of other boats, mariachi bands, snack canoes, Michelada vendors. This is a situation where the beauty truly is in the chaos, and getting through the canal isn’t a race. Insist on going to the main, busy entrance. *Based on scientific research, or my own personal firsthand experience. Basically the same thing, right? Have you ever unexpectedly loved a supposed tourist trap like me?